Even though Summer is my favorite season, I’m kind of happy that Fall is here. Each season reminds us that life is ever-changing and that we’re changing with it. We can’t stay stuck in the same old patterns and habits, we need to try something new. 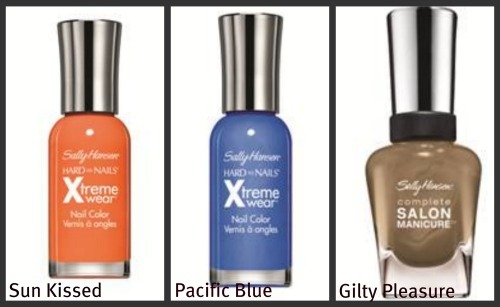 And one of the easiest ways to move into a new season is with a new nail polish color. So I decided to jump on the Fall bandwagon and polish my nails with one of Essie’s “Carry On”. 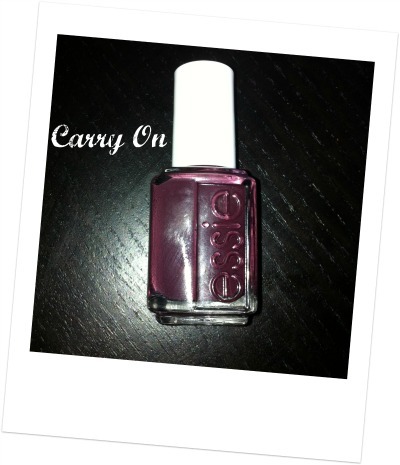 Essie Carry On is described as a deep romantic burgundy. This color gives a dark vampy Merlot kind of feeling to it, and I like it! The color is very rich and warm and destined to become a new favorite. What are your thoughts on Carry On? Is is the perfect Fall shade or would you pass? One of the biggest nail trends for Fall 2011 is nail art. Now I’ll admit that in the past I have not been a huge fan of nail art but I’ve come across a few DIY nail designs that are simply too irresistible to pass up trying at home. 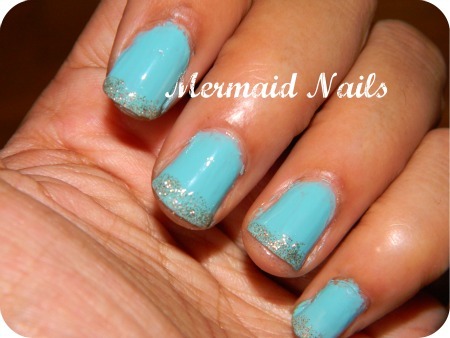 One design that I fell for was the Mermaid Nails design posted on Cupcakes and Cashmere. My take on this nail tutorial is to swap out the blue glitter for gold and try the design on all of my nails. Step 1. Apply base coat, let dry. Step 2. 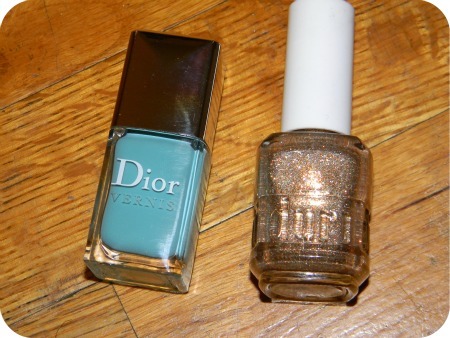 Apply watery-blue color of your choice, I chose Dior Vernis in St. Tropez. Step 3. 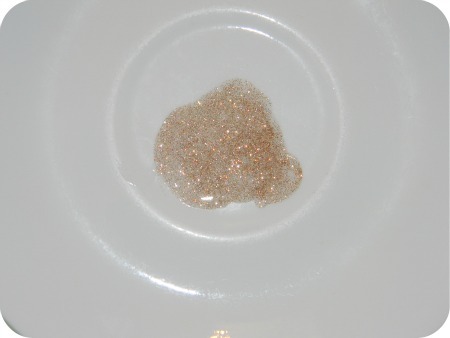 Add topcoat to glitter nail polish in a dish and apply mixture to the bottom half of your nail bed. (I wanted more graduated rather than intense gold sparkles ). Step 4. Apply top coat and enjoy! I’m still working on technique but so far I love it the combination of the a bit of glitter on top of a soft blue. Very beach-y and a perfect way to transition out of Summer into Fall. Would you give this nail trend a try? During New York Fashion Week there was much discussion about the collaboration between Sally Hansen and designer Prabal Gurung. The duo paired together to create 4 exclusive nail looks inspired by Japanese artist, Yayoi Kusama. 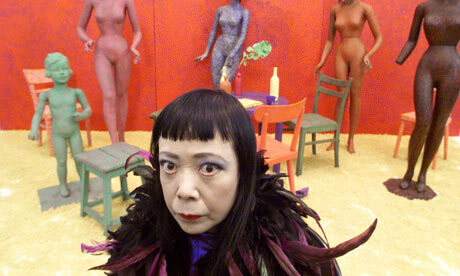 Kusama is an avant-garde sculptor artist known for using polka dot and net motifs in bright watercolors, pastels and oils. The collection is now available at your local drugstore and ranges from $2.99-$7.99. Will you try the collection? 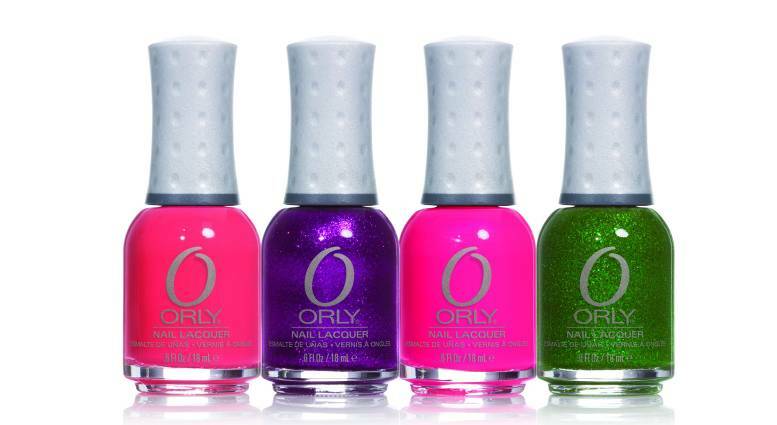 Just in time for Summer, Orly’s Summer 2011 Pinup Collection hits stores in just a few weeks. The collection was inspired by the “unapologetic glitz and free-spirited attitude of the most iconic pinup girls”. The glamorous collection features vibrant shades to suit any personality from a demure coral to a bold glittery purple. This collection just screams burlesque dancer, it screams pin-up and I love it. So for a little pinup inspiration take a look at these beautiful classic pin-up girls with Candyman by Christina Aguilera playing in the background! My favorite shade from the collection is Bubbly Bombshell, what’s yours? 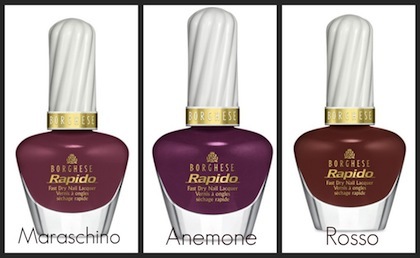 I am loving the fresh color palette of the NEW Borghese Rapido Fast Dry Nail Lacquer collection. 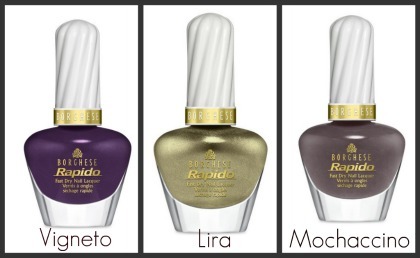 These nail shades were inspired by the colors of a garden in bloom combined with a hint of sleek city style hues. The collection aims to compliment every wardrobe – and it does. Warm shades like Mochacchino and Siena are not just office appropriate but simply pretty. 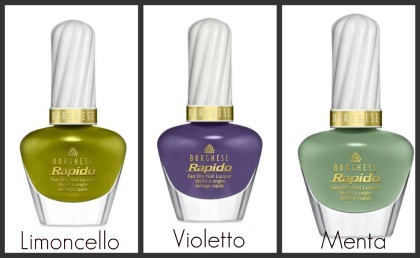 If you are more on the adventurous side then you may opt for a more earthy green shade like Limoncello. If you want something a bit more bold then Vigneto may soon be on your radar, this richly hued berry shade is sure to stand out. Either way there is truly a color for every personality in this collection. Which color is your favorite? 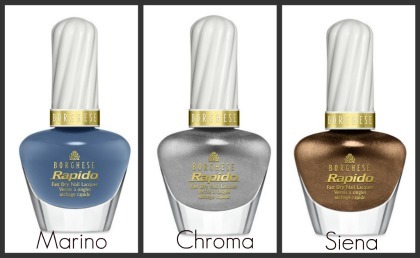 Have you tried Borghese nail lacquer before?